Ikea, that famous Swedish flat-pack furniture company, is no longer concerned solely with affordable yet tastefully minimalist interior design or whimsical product placement in Deadpool movies. It’s about to make your gaming life more comfortable too, with a new ergonomic chair designed for long sessions – particularly esports contests. Ikea will partner with the US prosthetics firm Unyq to design and develop the ‘Ubik’ chair. They will use 3D printing and body-scanning technology developed for medical wearables to create a personalised seat specifically for you, promising the most comfortable and affordable gaming chair on the market. In which of the best multiplayer games on PC could you need a comfy competitive advantage? According to Ikea design lead Marcus Engman, speaking yesterday at the company’s annual press event (via Quartz Media), customers will get their body scanned when they purchase an Ubik at an Ikea store. It’ll then take about two weeks for 3D printed lattice inserts based on your biometric data to arrive in the post. You’ll then simply slip those inserts into the seat, and you have a chair perfectly formed to support your own unique… seat. Image credit: Ikea via Quartz Media. According to Dot Esports, you’ll also be able to customise the Ubik’s appearance to your tastes. 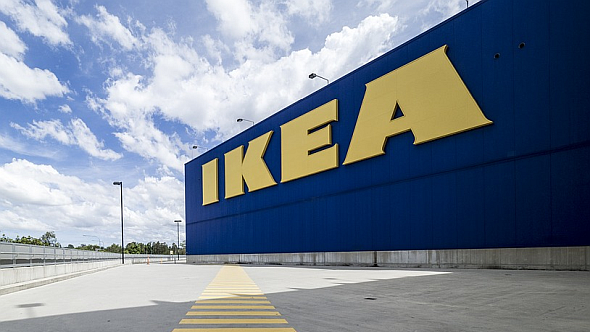 Ikea and Unyq are aiming to release their products to the public in 2020.